Like many breed rescue programs, Bichon Frise rescue shelters have arisen from a need to address impulse buying on the part of an overly charmed yet ill-prepared public. Although dedicated breeders strive to promote their dogs, there sometimes comes a point where popularity is a disadvantage rather than an asset. All too often, the public falls in love with a particular breed when it's featured in films and television shows. The most famous case in point is what happened to the Dalmatian breed in the aftermath of the very successful Disney movies. Captivated by the charm of those rambunctious spotted pups, the public began purchasing puppies in droves. This spike in demand for purebred Dalmatians encouraged less than scrupulous entrepreneurs to purchase breeding stock and set up shop. As the flood of puppies hit the market, new owners soon realized they were not prepared to understand and meet the unique needs of the pups they now owned. Not knowing how to handle training needs and unwanted behaviors, the pups were speedily relinquished to shelters in record numbers. This cautionary tale of impulse purchasing has been repeated with numerous breeds. Unfortunately, the lovely Bichon Frise is one such breed. Bichons are noted for their fabulously groomed coats and sprightly personalities. It's only natural the public fell in love with them as the breed came to prominence. The appearance of these dogs at many televised dog shows continually prompts people to seek out puppies without really realizing the amount of care Bichons require. Grooming needs are extensive to keep the dogs looking like their standard, and those delightful personalities can belie a dog that needs parenting and training. Bichons may land in shelters for numerous reasons. Doubtlessly, the largest number of Bichons that come to rescue shelters are liberated from puppy mills where they have been used to maximum breeding potential without benefit of proper health care, socialization, grooming, and diet. Housebreaking problems are also an issue with this breed. Bichons are very intelligent dogs, but it can be difficult to convince them to do things your way. House training requires great dedication on an owner's part, but it can be achieved. Unfortunately, some owners give up before training is completed. As mentioned, the Bichon requires a lot of grooming. The coat must be brushed thoroughly on a regular basis, and clipping is essential to maintaining that signature outline. Being white, these dogs also require weekly baths. Unless an owner is an experienced groomer, grooming costs of this breed are quite significant. Barking is another reason Bichons and their owners part ways. The Bichon is very alert and feels a need to keep his owners informed. Barking conducted in apartment living situations often forces owners to choose between their pets and the roof over their heads. Senior Bichons often wind up in rescue shelters when their owners pass away. Whatever the reason a Bichon Frise winds up in a rescue shelter, thank goodness there are caring individuals willing to provide the necessary structure and training to prepare these dogs for lives with new families. Small Paws® Rescue is located in Tulsa, Oklahoma. The organization offers puppies, adults, and seniors for adoption to suitable homes that can meet each dog's unique needs. Their mission is to educate the public about puppy mills and make breeding Bichons unprofitable for them. 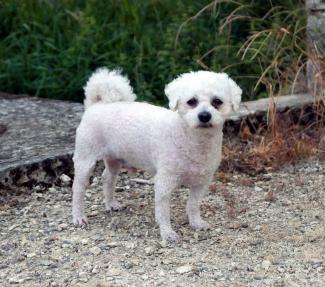 The rescue also seeks families to foster Bichons until they find their forever homes. There's also a Small Paws in Washington State. BichonRescue.org is an offshoot of the Bichon Frise Club of America. They offer a directory of shelters and foster homes in each state, as well as education about the breed. Bichon Rescue Tennessee concentrates its rescue efforts on rehabilitating Bichons for rehoming. The website offers a frank assessment of the breed's strengths and challenges in an effort to make visitors aware of the Bichon's needs. Tidewater Bichon Rescue is located in Suffolk, Virginia. Their adoption policy page walks visitors through the requirements of adopting a rescue animal as well as the fee involved. As with nearly all rescue shelters, Tidewater sees that each dog is spayed or neutered before going to a permanent home. Delaware Valley Bichon Rescue is located in New Jersey and adopts Bichons out primarily to Pennsylvania, New Jersey, and Delaware, although they have placed dogs in nearby states such as Massachusetts, Ohio, and North Carolina. All of their available dogs are cared for in foster homes and their adoption process includes an application and a home visit. Bichon FurKids Rescue serves San Diego and Orange Counties in California. Because they believe it's important for puppies to learn from other dogs, they will only place Bichon puppies in homes with other dogs. They also strongly encourage adopters to work with trainers and socialize their dogs. 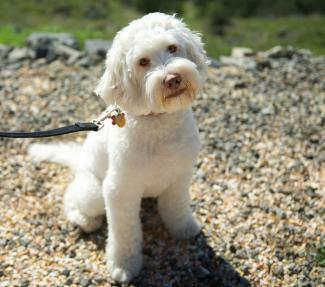 Bichon Rescue Brigade is an all-volunteer organization located in Southern California. Bichons for adoption are all spayed or neutered, up-to-date on their shots and the process includes a home visit and application. Bichon Rescue of Orange County specializes in placing older Bichons as well as some other small breed dogs in homes with senior adults. They will adopt outside of Orange County, California with additional references and information required on your application. 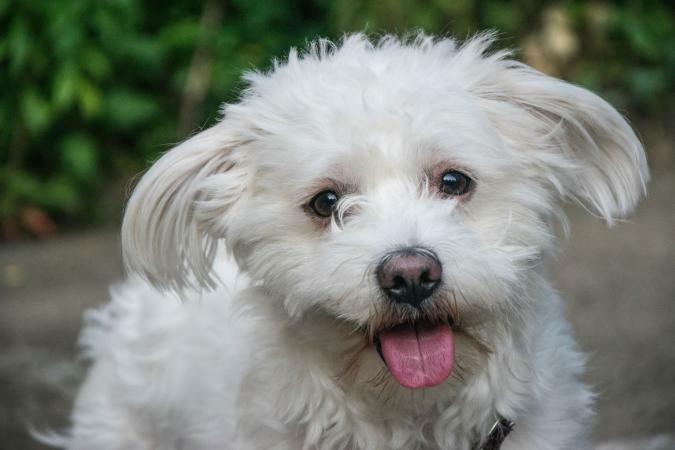 If you're still looking for a Bichon in a state that doesn't have a breed specific rescue like Ohio, Florida or Louisiana, visit the Petfinder and Adopt a Pet websites and use their search feature to look for the breed. Many all-breed rescue groups and shelters take in Bichons as well and you can use these national all-breed sites to find a Bichon in your home state. Adoption fees for rescued Bichons range from as low as $75.00 to as much as $300.00 depending on the shelter you're dealing with and how well they are funded. Generally speaking, rescue dogs receive vaccinations, grooming, and are spayed/neutered at the shelter. Some dogs receive more extensive medical care based on their condition when coming to the shelter. Most receive heartworm preventative, and some are even put on flea prevention medication. In addition to these costs, there is the cost of food and daily upkeep. Most rescue organizations operate with the help of volunteers, but those fortunate enough to have their own central facility must also cover the cost of utilities. All of these factors are reflected in the size of the adoption fee. Just as no potential dog owner should enter into canine parenthood lightly, adoptions should also not be carried out on a whim. If you're interested in rescuing a Bichon Frise, learn all you can about the breed first - including health problems, shedding, and whether they are good family dogs - in order to judge if one is the right fit for your lifestyle. If so, take your time investigating shelters and numerous rescue animals until you find the Bichon that is meant to be a part of your family forever.